I first sculpted the cloak and card out of greenstuff. 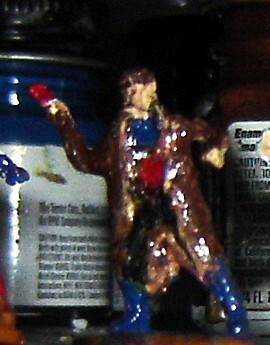 I then painted the cloak and hair brown and the boots and collar blue. I then painted the paints black. Next the shirt, card, and eyes red.